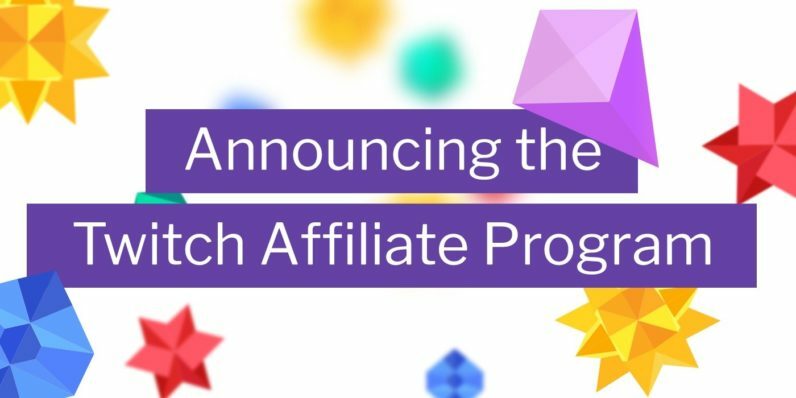 Several months ago, Twitch introduced the affiliate program, a new tier in its stream monetization system. Prior to this, the only ways for streamers to make money via Twitch was to be popular (or connected) enough to make partner, or to use third-party software. Now Twitch is opening up its money-making tools to smaller streamers. Affiliates can now be paid for viewer subscriptions, ad revenue, and game sale profits. While it sounds positive when I put it like that, not everyone is sold on the idea. The Twitch community in general has embraced the changes, but the introduction of a subscription option for affiliates — something previously only available to partnered streamers — has divided the community. It’s excellent stuff — bits, chat minigames, I think this is all stuff we should have had a long time ago. Sub buttons just went live, which means you can offer emotes to people. I think it’s excellent to introduce that to people early. At the moment, it feels almost like we’re being used to make the website money. They say it’s to help us, but I make more in donations than I do in subs. They said they’re looking to help us, but they aren’t offering us exposure . . . The only people who have subbed have been regulars. If my viewer count goes up, [the sub button] might help me lock in newer viewers and give them a greater incentive to come back. But as far as revenue goes, I’m only making $14 a month. To have it given to us, it feels like a participation award. I understand why — because twitch gets 50% of the profits. [The sub button] was always something we strove for to better ourselves. But now it’s like Oprah: you get a sub button, and you get a sub button! Partnered streamers, meanwhile, were both happy for affiliates and weary of what the changes would mean for them. Some felt the new commonness of the sub button devalued the hard work they had getting to that point. A Twitch spokesperson was quick to reassure them partners are still considered valuable by Twitch. This announcement today lets broadcasters know, we want you to succeed. We're helping where we can. Partnership standards haven't changed. The endgame, I think, is to have every single person as a partner/affiliate. It’s a business at the end of the day, and this is how they make money. Affiliate buttons do not change how communities are built on Twitch. If you started streaming because of a button.. Instead, they should focus on growing their communities, as those friendships will still be around even if the sub buttons completely disappear. Update 7/9: We’ve updated this article to reflect new information.